You are invited to the celebrate the love of MYoga in an evening of food, dance and fun — let's come together to recognize the studio's past 10 years and look forward to the next! 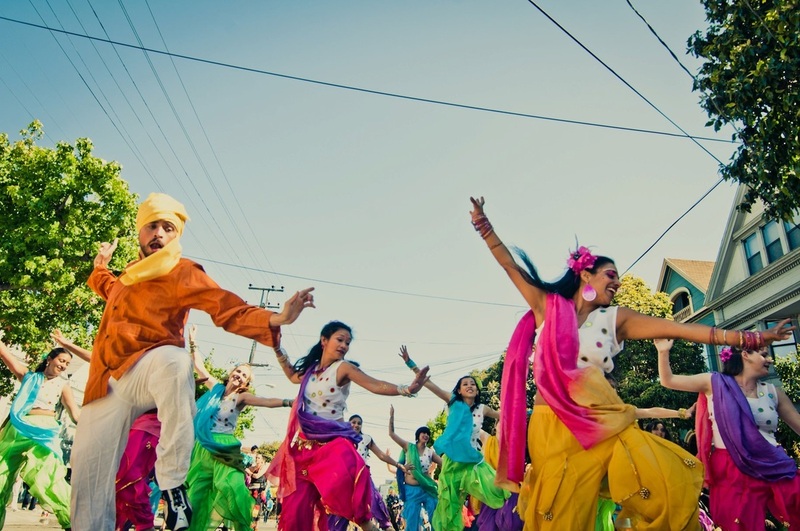 The party begins with our Curry Cook-off and MYoga Community Potluck, followed by dancing to Indi-pop, including a free Bollywood Bhangra dance lesson (see video below!). Visit the Wellness Lounge for a free mini-treatment by one of our MYoga practitioners, pick up a new MYoga Turns 10! t-shirt, or win a unique yoga prize in our anniversary raffle. Of course the best part of any party is the people, let this be a night to relax and spend some down time with your MYoga community. Bring family, bring friends — this is a great chance to show off your yoga studio! Enter the Curry Cook-off Love to cook? Enter the Curry Cook-off and you could win a month of unlimited yoga! To enter: 1) email us with the name of your curry, 2) deliver a gallon pot to the MYoga Party by 6:30pm, 3) watch the MYoga community to "ooh" and"ahh" over your offering. Indian, Thai, Chinese, or Caribbean — any and all curries welcome! Blind judging by your peers. Only 12 entries will be accepted, so enter now! Drop by the Wellness Lounge. No reservation required! Our loving and skilled practitioners will be on call to give you a mini-treatment of your choice — neck and shoulder rub, hand and foot massage, or acupressure facial toning! meet our practitioners. Please RSVP. Let us know if you will be coming alone or bringing folks with you. Kids welcome — no dogs, please!